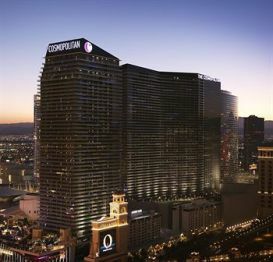 The Cosmopolitan is one of the nice and most expensive casino resorts on the strip. Here is some tips to help you get the best deal at the Cosmopolitan in Las Vegas. If you enjoy the Cosmopolitan and want to get the best rate there, then you need to become a rewards player by signing up for their Identity Program. Even if you gamble very little there, they have been known to hand out generous first time comps to get you back into their casino. Two free nights on your next trip is not unheard of for as little as $100 in slot play. 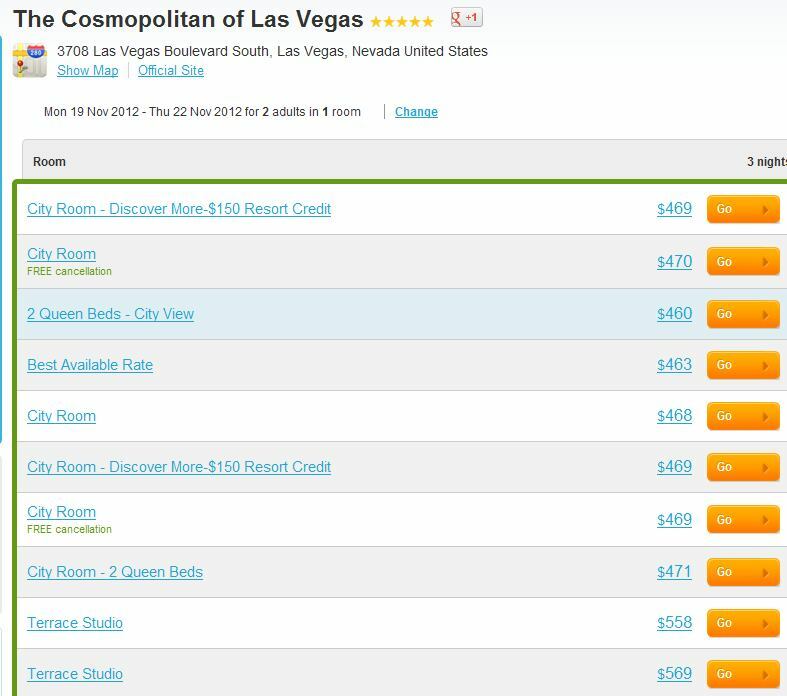 Like most Vegas hotels, the Cosmopolitan can be very expensive on the weekends with prices 3-4 times what they would be during the week, especially on Saturday night. If you are looking at going to the Cosmopolitan during the summer or pool season, be prepared to pay up as well. You will save more by going during October-February time frame. Most third party hotel booking sites (like Expedia, Hotels.com, Trivago, Vegas.com) will probably quote the same price per room and it will not be any less than booking directly for the most part. Vegas.com usually offers the same prices as well but they often have a 10% off coupon site wide or other coupon to save you even more. Do not forget, Cosmopolitan is part of the Autograph collection at Marriot Rewards. This means you can also use your rewards points to book a free night at the Cosmopolitan starting a 30,000 points. Although, it probably is not worth all the points, it may make sense during a Saturday night where rates could be close to $400. Marriott also offers a best rate guarantee, that could save you 25% if you find a lower rate. Marriott’s Best Rate Guarantee states that if you find a better lower rate for the same room and dates within 24 hours of booking your Hotel through Marriott they will match the rate plus give you an extra 25% discount on the room. 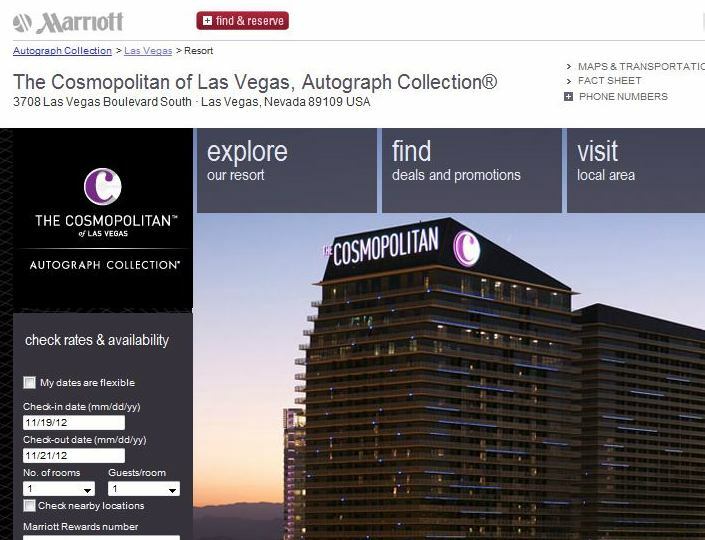 Check Cosmopolitan’s price for your travel dates on Marriott’s website and write it down. Make sure you also note what room type the price is for. Check for a lower price on another qualifying website . Use this comparison site that will search several hotel websites at once. 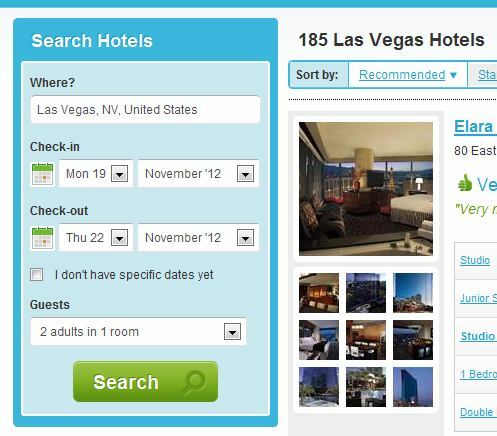 Find the lowest price and possibly the next lowest at another hotel site. Make sure they are at least $1 cheaper than Marriott’s site and you are comparing the exact same room type. Make a note of the site name and rate. Make sure this is the before tax price as that is what you will be comparing with Marriott’s. Find the best price room using the comparison site and visit that site to confirm total price without taxes. Reserve your room on Marriott’s site. Do not worry, your reservation is fully refundable up to 3 days of your stay. (Must be done within 24 hours of reservation) – Fill out Marriott’s best rate guarantee form. 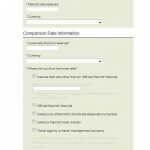 Use the lower price site as the comparison and fill out the form. You will be notified within 24 hours if your best rate has been accepted. You reservation will then be updated soon to reflect the new price. My rate was rejected now what? 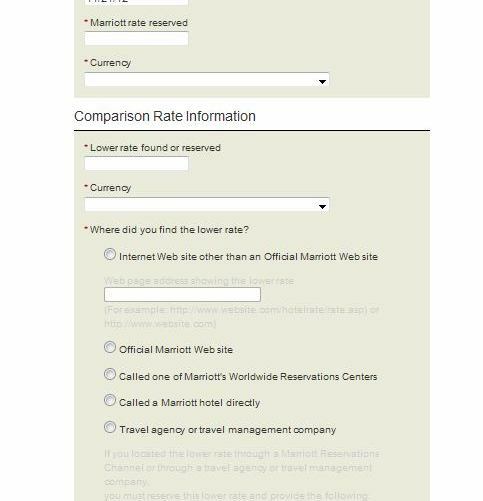 If it is still within the 24 hours of your Marriott reservation then you can try to submit it again with a different comparison site. After 24 hours: Cancel your original reservation with Marriott and book a new one. Next repeat the same steps and fill out the form again. Perhaps you will get lucky with another agent and the will accept the hotel or use a different one. The lower price hotel must have a public rate and no vouchers or hidden prices like hotwire. The room must be fully refundable like Marriott’s site and you must get instant confirmation of your reservation. Make sure it is the same room type. You can always rebook again if you find a lower rate. So my advice would be never wait for a lower rate. Book as soon as you can and if you see a lower rate you can always rebook. Marriott compares each night separately for the best price guarantee. So even if your entire stay is cheaper they will only match and discount the nights that are less than Marriott’s. Booking directly is always an option and Cosmopolitan sometimes has sales that are only on their website. The are not any options to enter promo codes so do not go around searching for any of those unlike MGM Resorts hotel reservations. You can stay up to date on the latest Cosmopolitan deals here at Vegas Unzipped. 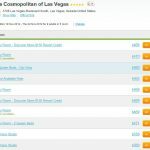 I would first suggest looking at the price at the Cosmopolitan directly and then compare it to other sites.